So with the holidays coming up swiftly, I have felt inspired to share a little Christmas decor with you guys! 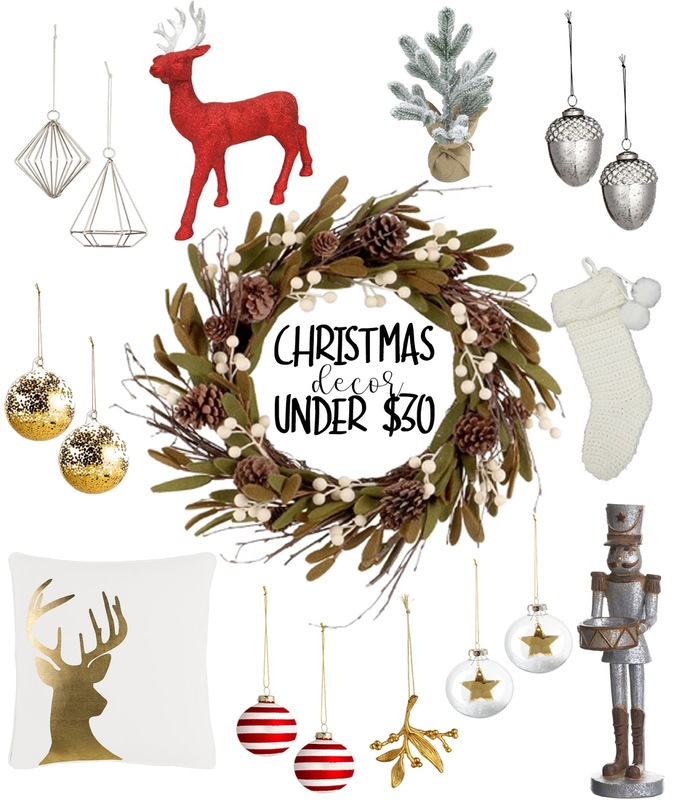 Everything above is under $30-most of it well under! This time of year is my favorite! I cannot even believe that Thanksgiving is NEXT week! I have already started listening to Christmas music, and it makes me so happy!